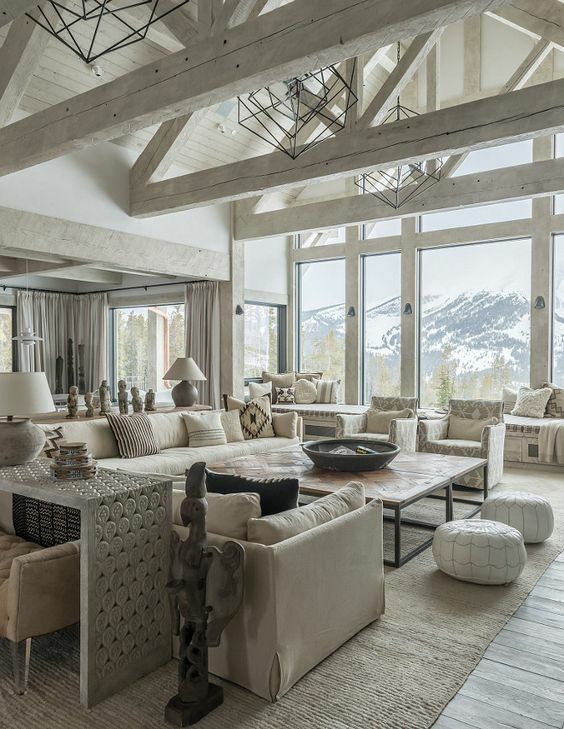 Neutral interiors are luxe, especially when layered with luxe finishes and textures. 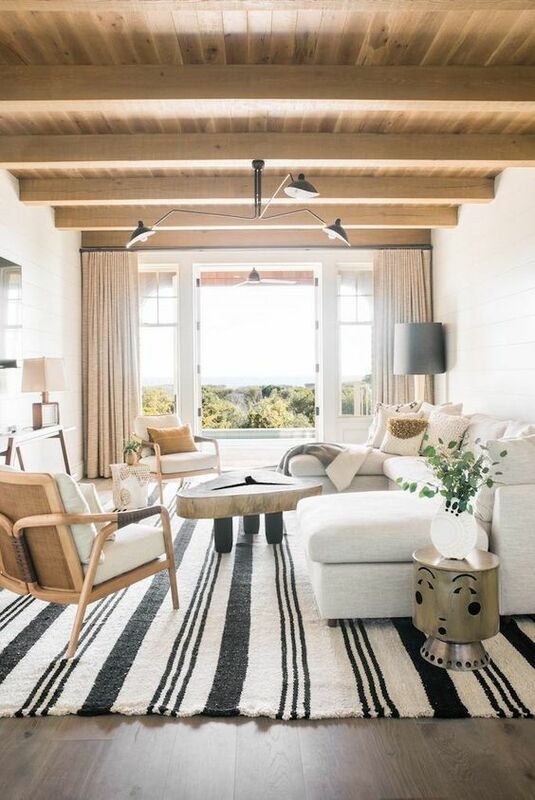 When it comes to designing a room, textural neutrals calm busy spaces, add contrast, and anchor your room. Better yet, neutrals with loads of texture are the sounding board for changes of the season with pops of color. 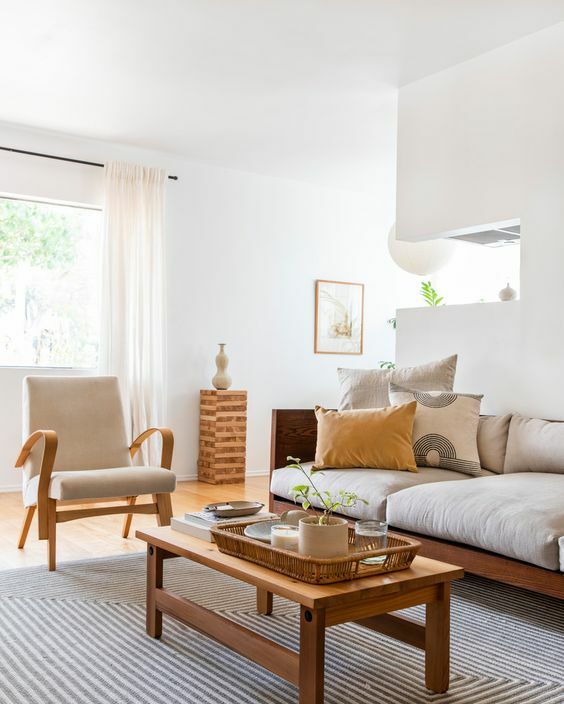 Neutrals are an effective way to create an elevated room because of the textures you use and variance of shades you incorporate. 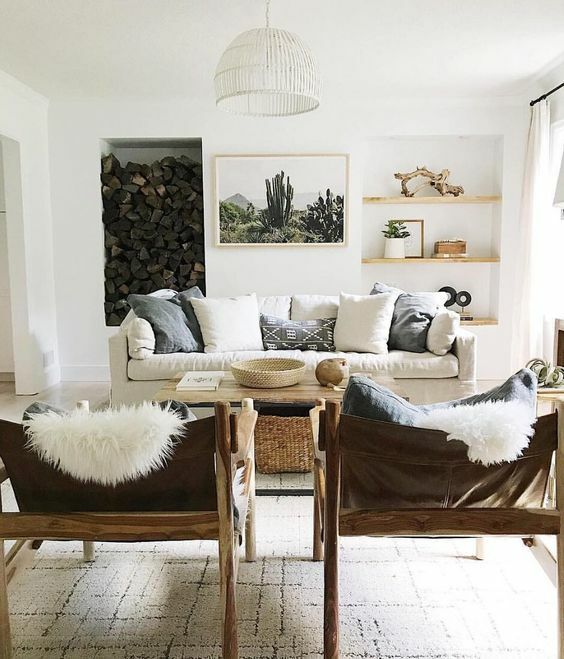 The word neutral sometimes might give you the feeling that it will be boring or too simple; however, this concept is one of the easiest ways to make a gorgeous, statement-making impact that is luxe and absolutely refined. Wood gives instant and luxurious depth. Use it to your advantage when designing. It is usually the only contrast a room may need or may be missing. Natural woods are lighter in color and in “visual” weight when added to a room. 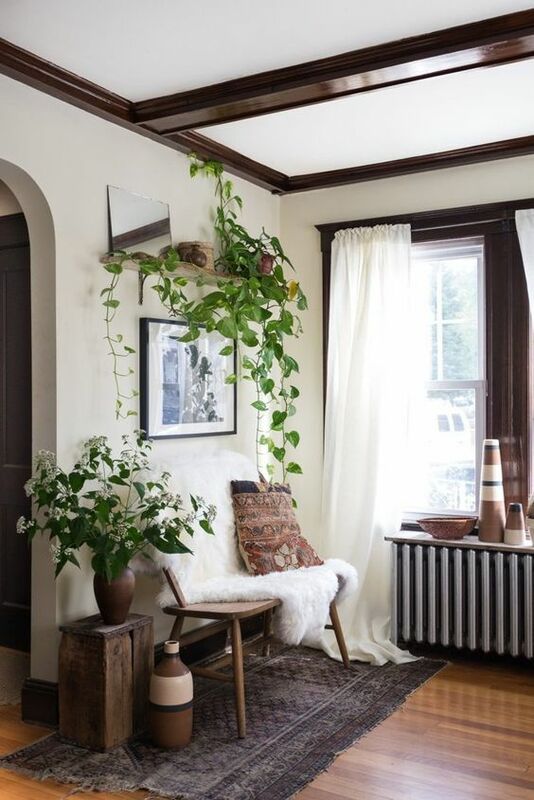 You can use it less sparingly in a space because it won’t look too heavy. Pull it into different places. The floor, furniture and even accessories such as lamps and home accessories for added depth. A dark wood, although heavier, adds a nice contrast to softly hued rooms. It anchors your space and keeps balance in a room with contrast. The key to balancing the contrast? Rich and refined textures that create an inviting feel. 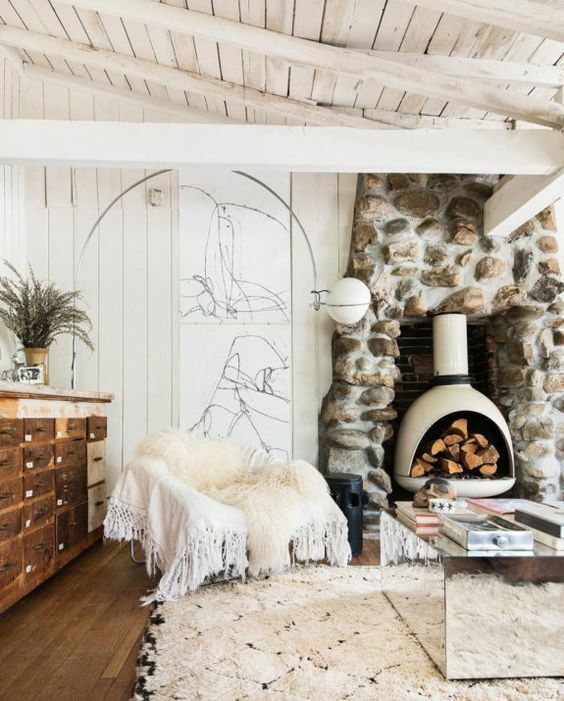 Don’t be afraid to pull in tones of wood from your floor into your furniture. They don’t need to be the exact same finish. They just need to complement each other. 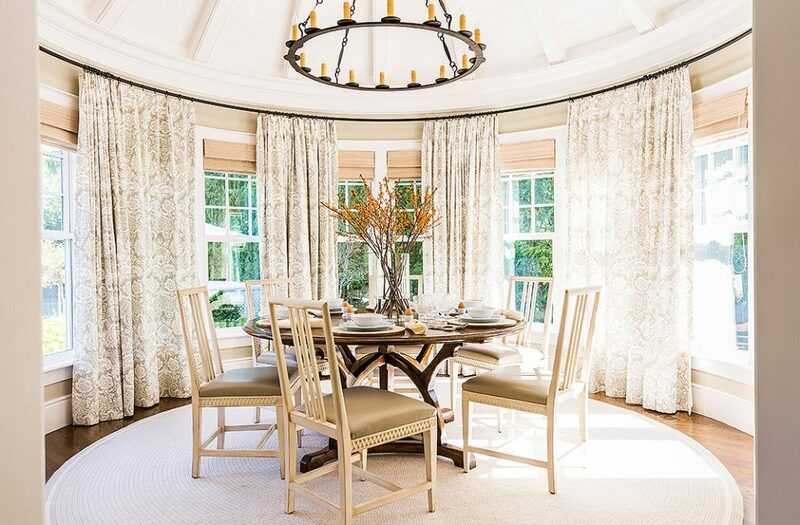 You can balance them with textural fabrics and varied metallic tones. 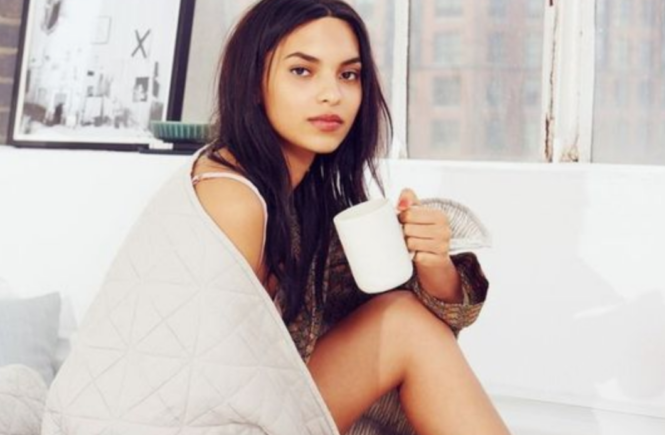 Neutral doesn’t just mean tans and browns. Grey is a neutral, and we have to admit, one of our favorites to use. 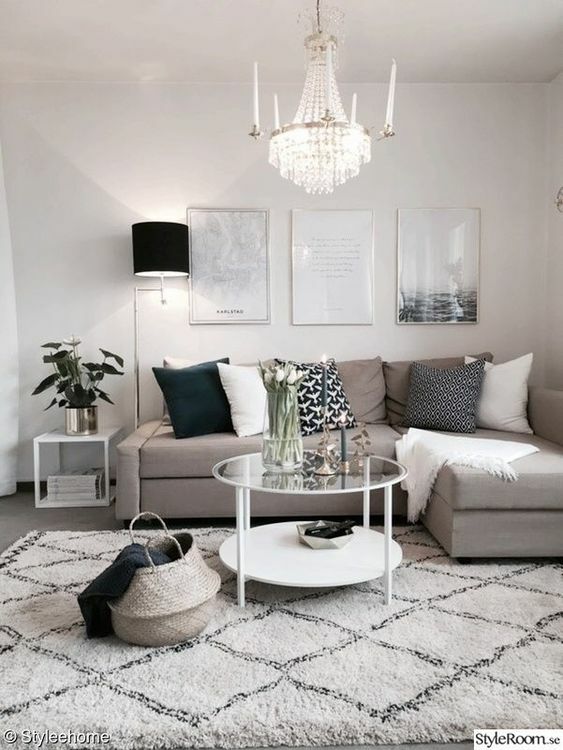 Mixing grey textures and shades of grey are absolutely gorgeous and definitely still very on trend. 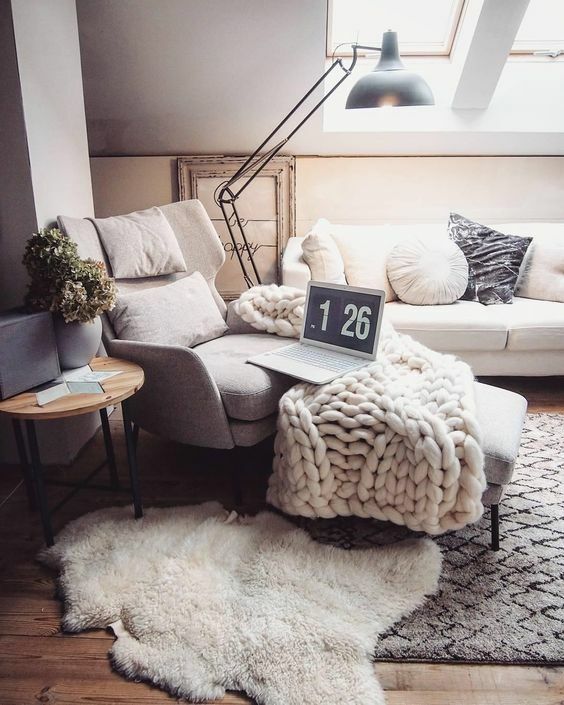 The goal with grey is not to be too monotone, but add layers of warmth with a mixture of different finishes and looks for interest and impact. Total glam …. 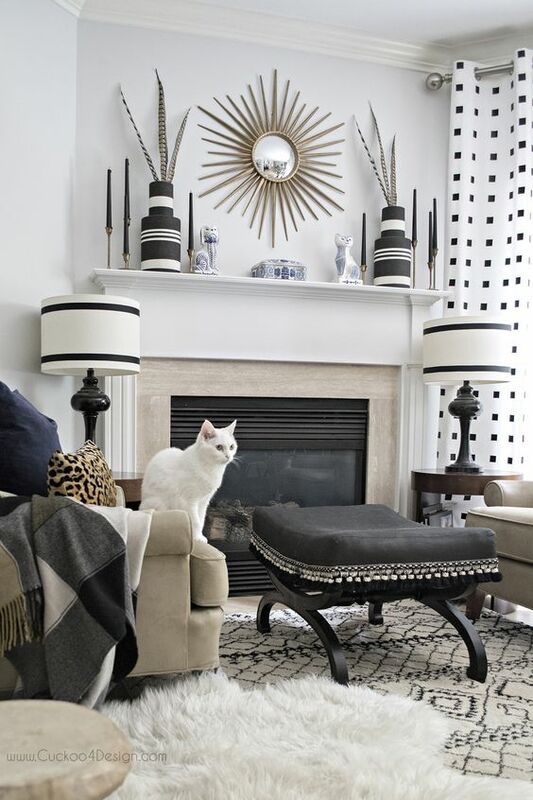 We love the idea of mixing warm tones of cream, ivory, and beige with a contrasted black. 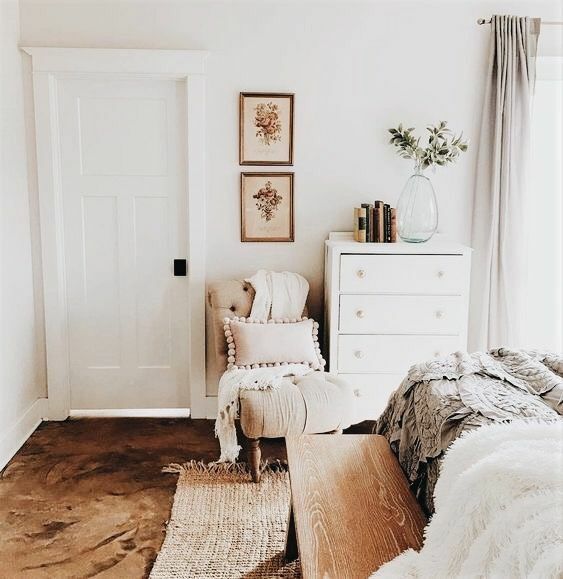 The softly warm hues bring the two neutral color palettes together to create a truly stunning room. 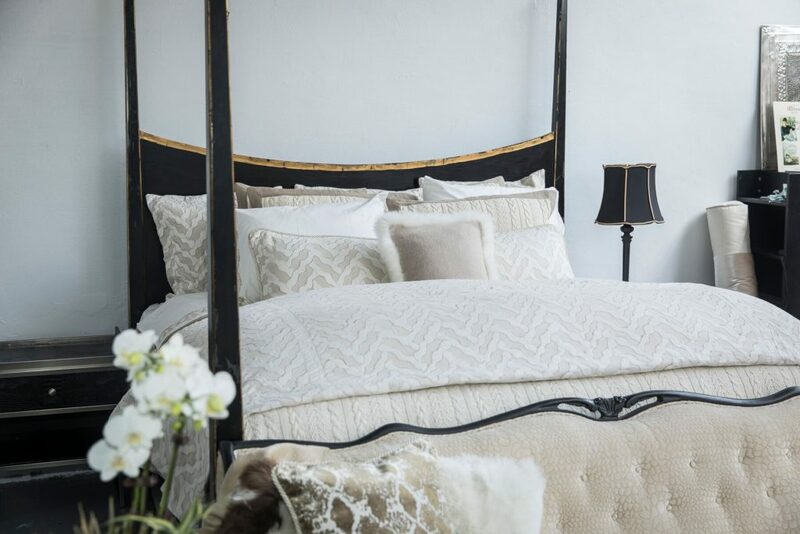 Mix dark and light in your home to create a show-stopping and eye catching space, like this room and bedding designed by KF for her Isabella Collection by Kathy Fielder line at Neiman Marcus. Different wood finishes, different neutrals, and different textures… Mixing them all together truly makes a designer space! 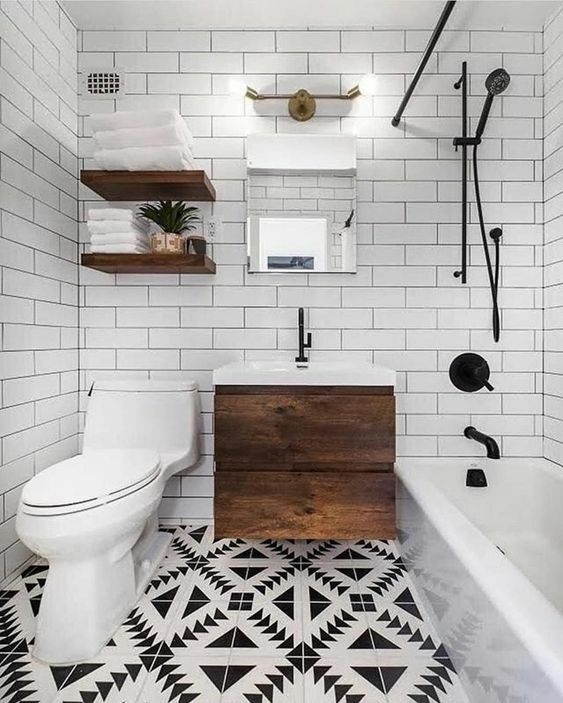 Mixed materials are so unique and beautiful. 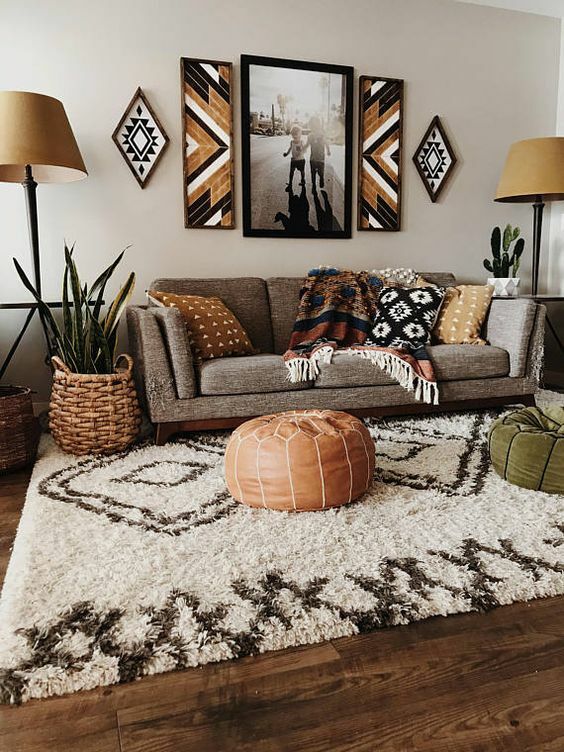 Light, medium, and dark neutrals mixed in a tasteful way that are perfectly grouped and well planned make a space feel welcoming and inviting. KF Tip ~ mix metals and metallics in your space to add contrast as well as another finish and texture to perfectly layer your space. 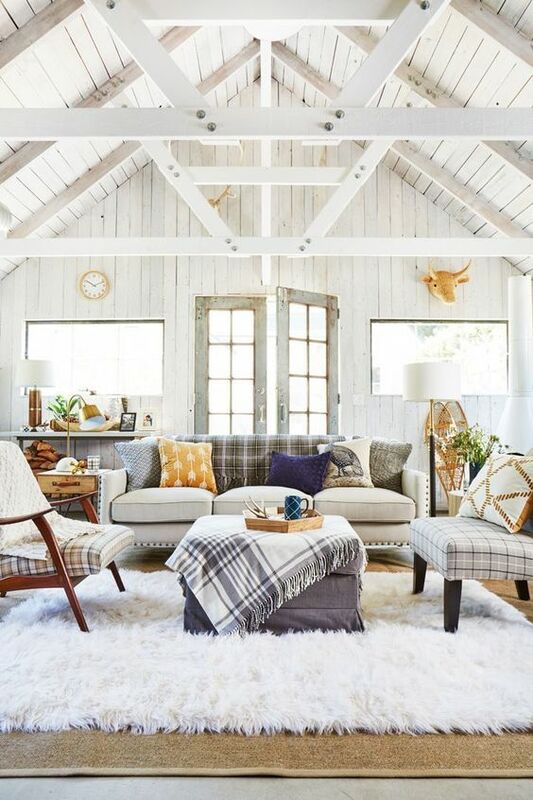 Different textures in a room aren’t that hard to make work when you live with what you love. Soft, hard, furry, smooth, rough… textures are endless. When all mixed together in a seamless way, you have the recipe to make a room spectacular. You want a mix of furniture that is warm and welcoming, with some pieces that are more ornamental, modern or contemporary. Mixing textures is mixing design aesthetics. 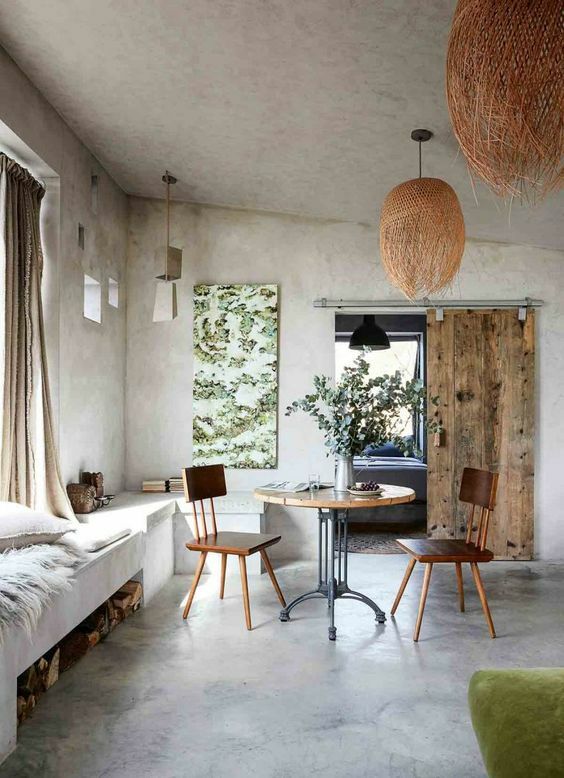 Bring a space to its full potential with an array of textures and finishes that you love.